Sarita Sharma is a film and transmedia producer from Berlin. She studied international film production at Filmakademie Ludwigsburg and La fémis, Paris, and Media Management at European Television and Media Management Academy (ETMA) in Strasbourg. She produces documentaries and fiction short films with her production company Kinomaton. Since 2011, Kinomaton is developing into a creative innovation hub for storytelling on different media platforms. Harmke Heezen is a documentary filmmaker and creative producer from the Netherlands, based in Berlin. She was a director and producer in the Arts & Culture Department of the Dutch national public television broadcaster AVRO, with a special interest in improving the connection between television and web. She made the documentary Europe – Speaking Out Loud and several commissioned films. New (web) documentary projects are in development. Mike Pohjola is a Finnish poet, playwright, author, and roleplaying game designer. He has published seven books, the best known of which is the autobiographical Jesus novel Ihmisen poika. 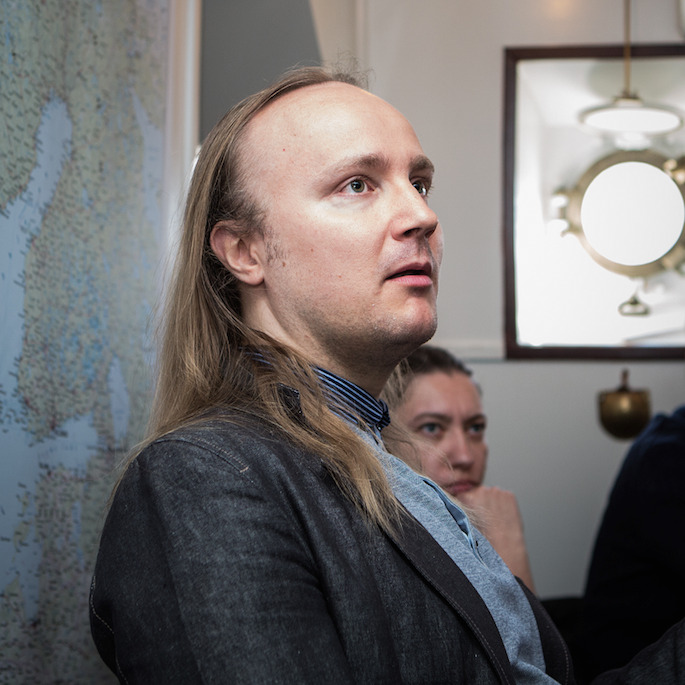 He's also the designer of the roleplaying game Myrskyn sankarit and a number of larps, including inside:outside with Eirik Fatland. His best known stage work is 1827 - Inferno. Juhana Pettersson is a Finnish tv producer, larp producer, game designer, journalist and novelist. He lives in Helsinki, Finland. He's the producer of the Palestinian-Finnish larp Halat hisar and the designer of the larp Luminescence together with Mike Pohjola. He has written for Helsingin Sanomat and many other papers and magazines. He has written or edited six books, including the novel Sokerisamurai.